Samsung Galaxy M20 debuted in India, but now, after a month, it is heading for Europe. It has arrived in Italy for now. 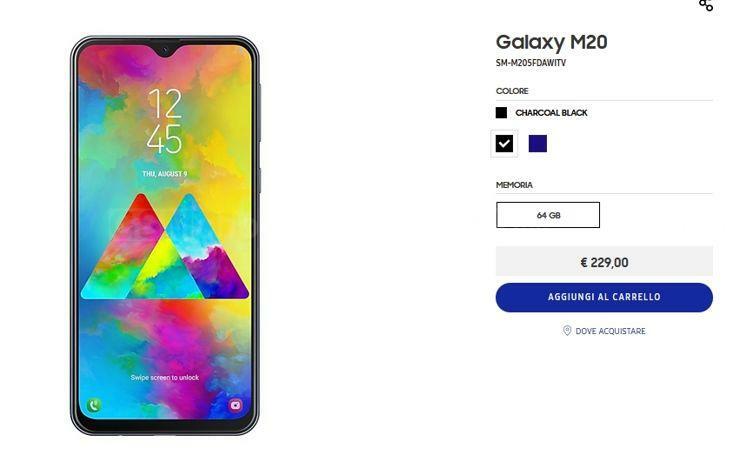 Thanks to the appearance of Galaxy M20 on the website of the Italian branch of Samsung, we know the price of the device - and we can try to guess how it will be priced in other countries. In Italy, the price is 229 euro. Is this a good price? Source Samsung; viewed: 248 times.